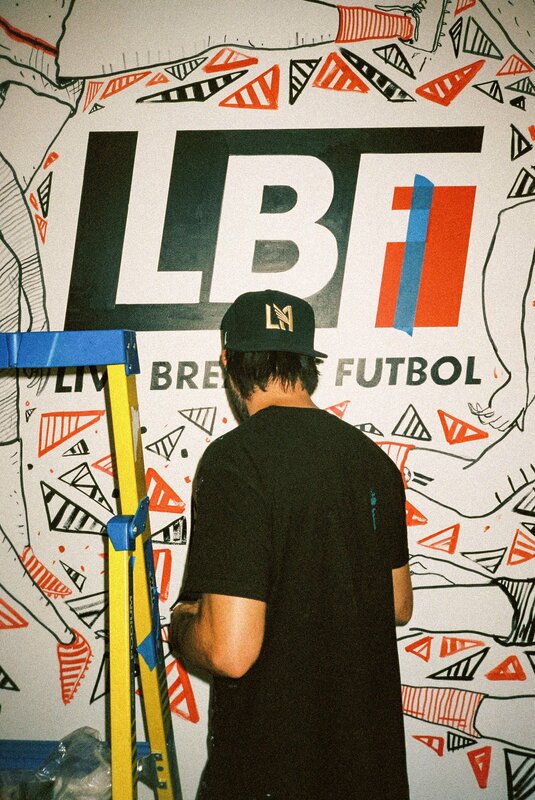 This past week, we had Geoff Gouveia out to paint a mural at the LBF HQ. We have highlighted Geoff’s work before, and we were pumped that he was able to visit during his time on the East Coast. 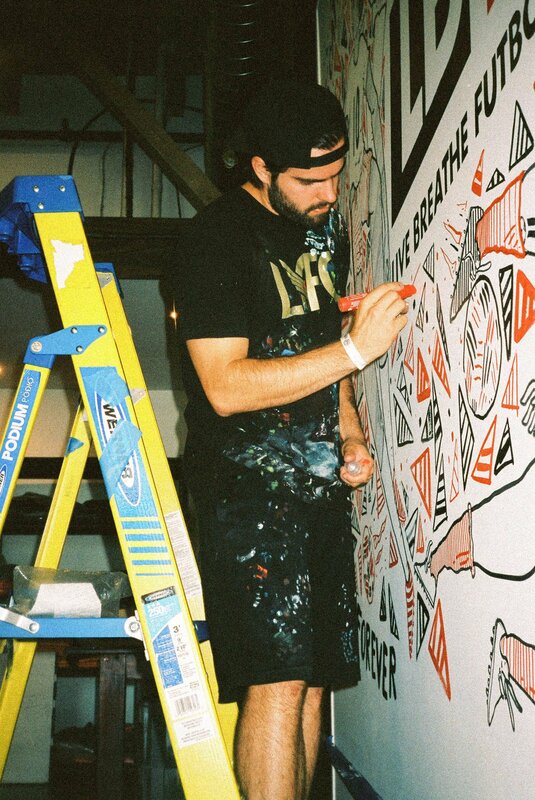 Warren Creavalle stopped by while the mural was going up and shot some amazing photos in his signature 35mm medium. 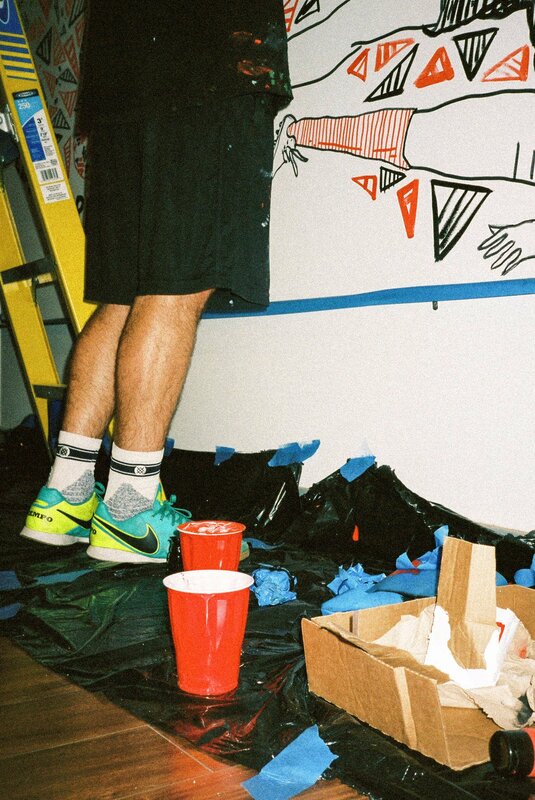 Discussing his art over a cup of coffee, I gained a bit of insight about just what makes Geoff's work so unique. Artist's styles change as they fall in love with or begin to see new ideas. 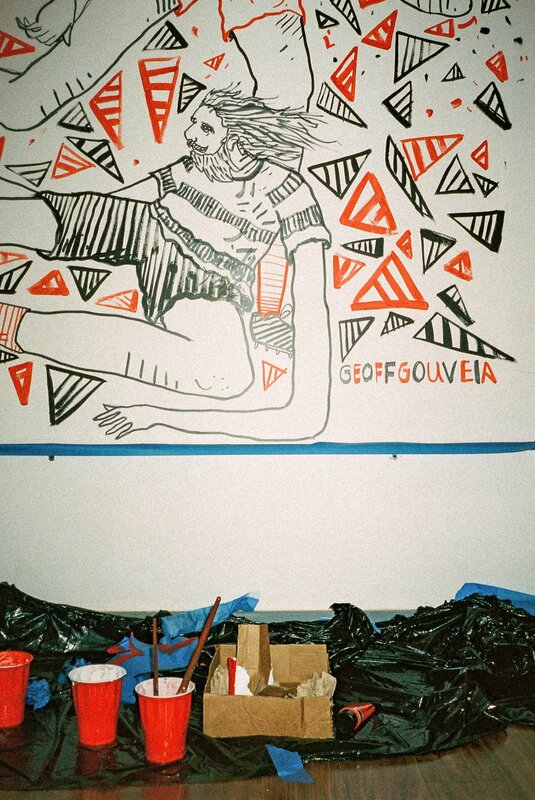 Geoff's signature character is a wildebeest, making an appearance in a majority of his work; then soccer began to dribble it's way into his works. Artist's love movement, it is why they are obsessed with dancers. It implies that there is something else going on. When you see a still life piece, it's like "there's nothing going on here". Work and compositions which infer movement add an additional element. An inferment of movement allows each individual who observes the piece to draw different conclusions about what is occurring. 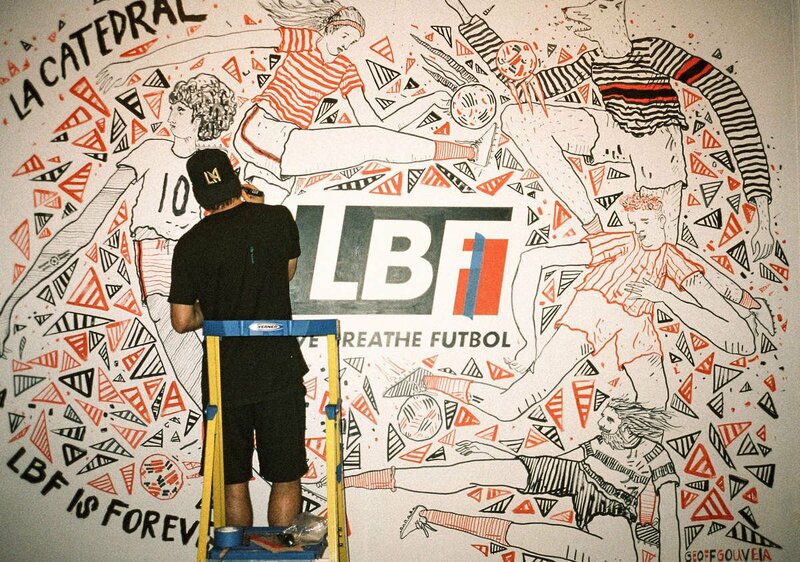 Geoff often sketches and paints in his favorite soccer silo, the Nike Legend Tiempo. When he needs a break or that extra bit of inspiration, he gets a few touches and juggles in. If anyone is up for the challenge, he is always ready for a game of FIFA or a 'meg battle. 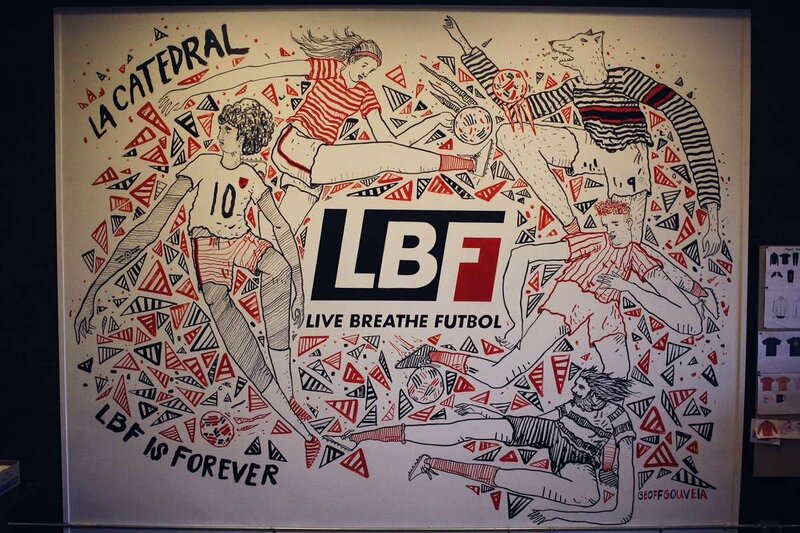 The completed mural at LBF HQ! 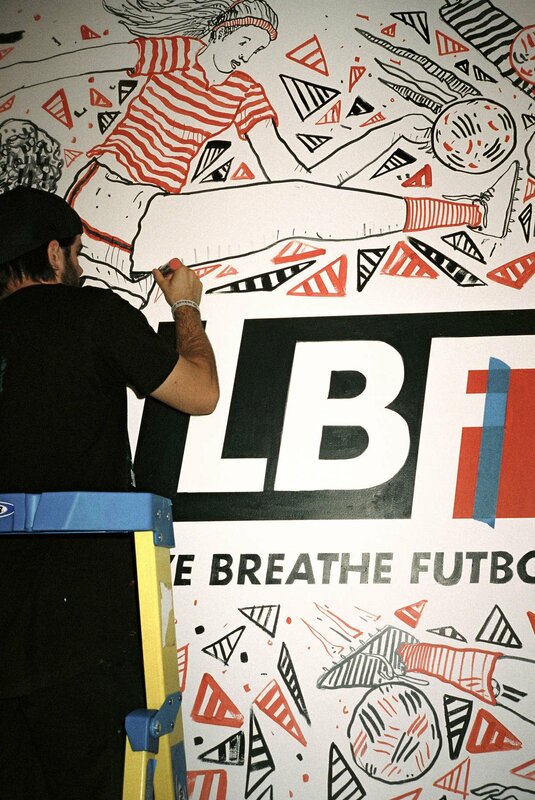 The mural has completely transformed La Catedral. 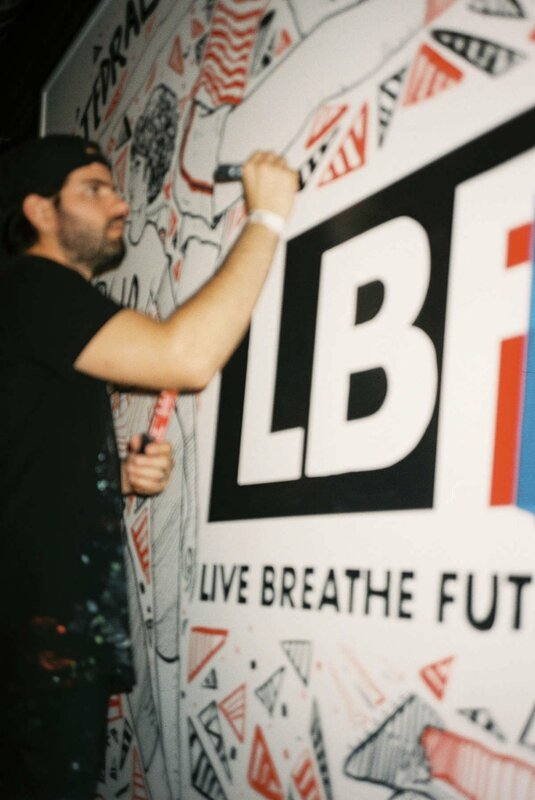 This won't be the last you all see of Geoff's brilliance at LBF.